It’s not unusual to see cruisers drinking alcoholic beverages in the morning and at lunch. You may wonder if this normal cruise behavior or did these cruisers buy a beverage package and are trying to get their money’s worth? If you have booked a cruise, you will be offered a selection of all-you-can-drink beverage packages. 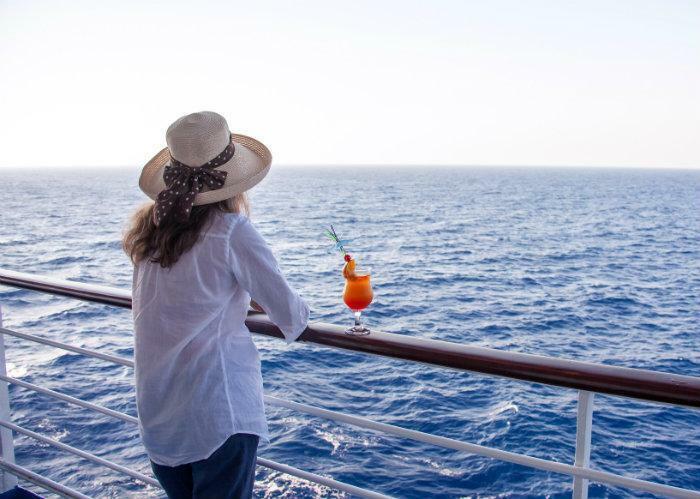 Before you decide to purchase, consider your drinking habits, how much drinking you plan to do on your cruise, and whether it’s worth the money. All cruise lines offer beverage packages with a range of pricing. The number and diversity of packages are mind boggling. There are ultimate and premium packages that often include most alcoholic drinks and brands, wine, beer, water, and coffees. There are more specialized packages for beer and wines. Even if you do not drink alcoholic beverages, there are beverage plans for water, coffee, mocktails, and unlimited soda. Celebrity Cruises alone offers six different plans. Cunard offers not only alcoholic beverage and soda plans, but also a coffee card allowing ten 12-ounce regular and specialty coffees during a cruise. Now that you know what you will drink, calculate the average costs of the drinks (including wine and beer) using your best guestimate. Many beverage packages have a dollar limit for mixed drinks and wines by the glass. Assess what is included in the beverage packages besides alcohol. If water, specialty coffees, soda, mocktails, and/or smoothies are included, how many would you drink a day and what are their estimated costs? Calculate approximately how much money you would spend daily on all the beverages you prefer. Factor in port days; you are often off the ship a good part of the day so how much will you drink on those days and how many port days are in your cruise? Add this up and you have a ballpark comparison for a beverage package. A gratuity of 15% to 18% will be added to the cost of your beverage package (as it will for individual drink purchases). Consider that some cruise lines insist that if one adult in a cabin purchases a beverage package, every adult over 21 in the cabin must purchase one too. If you are traveling with children and teens that like to drink sodas, unlimited soda packages may be worthwhile. You purchase these separately from your beverage package. As an added incentive some cruise lines will include in their beverage packages a discount of wines by the bottle. Will you need to drink yourself into a tizzy to make a drink package worth the expense? Or will you feel special with a Bellini or Mimosa for breakfast along with other beverage choices during the day? It’s your vacation, you decide.